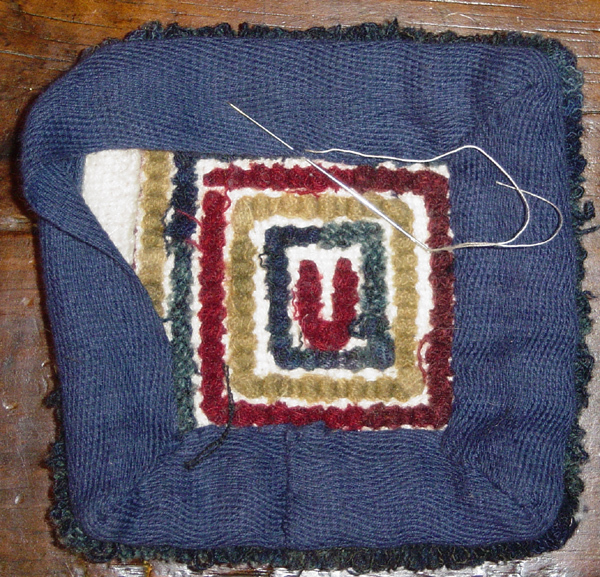 There are many was to finish a hooked rug...from simple hemming, to elaborate crocheted or trimmed edges. How the piece will be used is the most important thing to consider when weighing your finishing options. 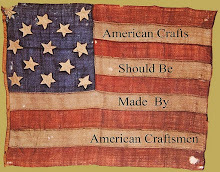 For wall pieces and table mats a sturdy whipped edge is not necessary, simple hemming will be adequate. However, floor rugs will stand up to heavy traffic with a neatly bound edge! No matter which method you choose...begin by placing your hooked piece face down on a fluffy towel, cover with a press cloth or a lighter weight towel and using a steam iron, lightly press. Do not iron back and forth! Let dry. 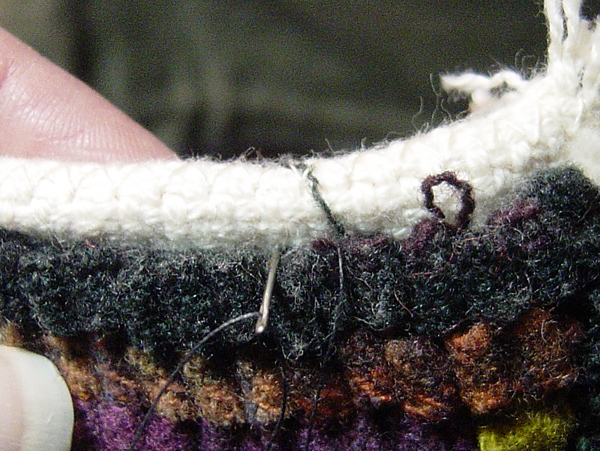 I like to zigzag stitch as close as possible around the hooked edge, then about 1 to 1 1/4 away from the hooked edge. Then trim away the excess foundation fabric. 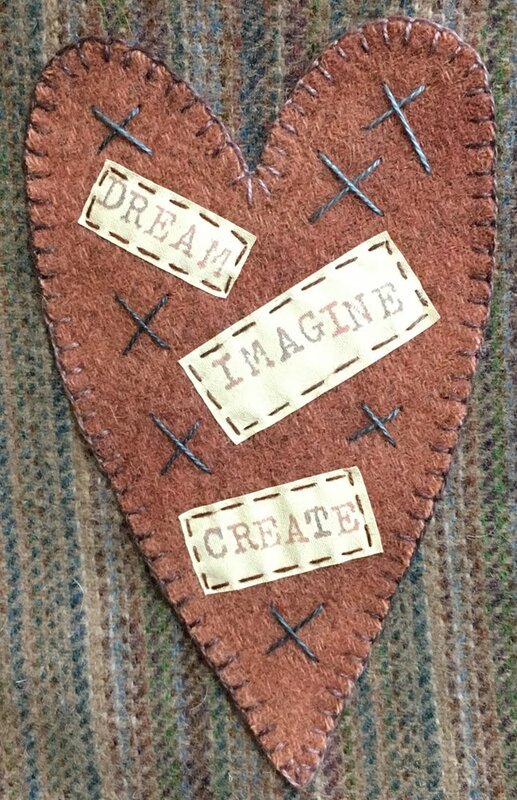 next to the outer line of stitching. ♥ Simple hem folded to the underside. Turn raw cut edge in and turn again to enclose it. 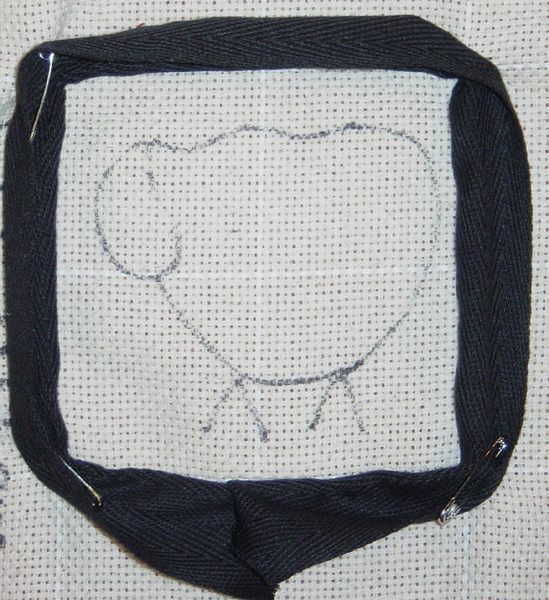 Stitch in place with tiny stitches. This method is an old stand by! Before you begin hooking attach twill tape by sewing it to your backing. Line up the edge of tape along the outside line of your pattern and stitch. Fold back the twill tape and pin it out of the way. With this method you can hook closely up to the tape. ♥ Twill Tape Covering Folded Hem... 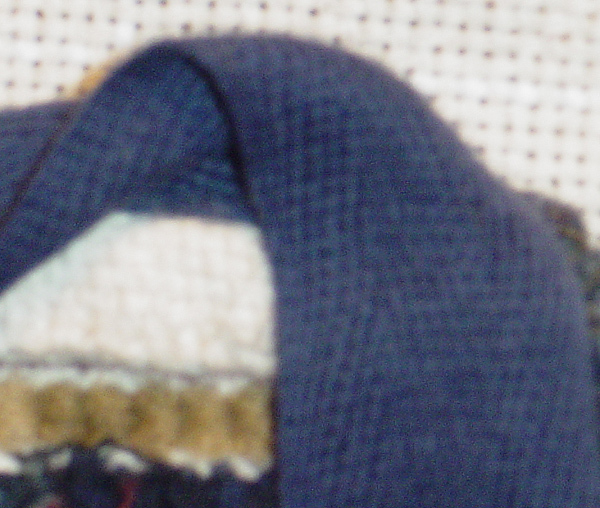 This picture shows backing hemmed to front, then twill folded over to backside. 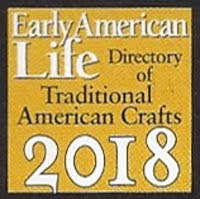 It has been my experience that these methods are best for mats that won't receive a lot of wear...table mats, wall pieces. 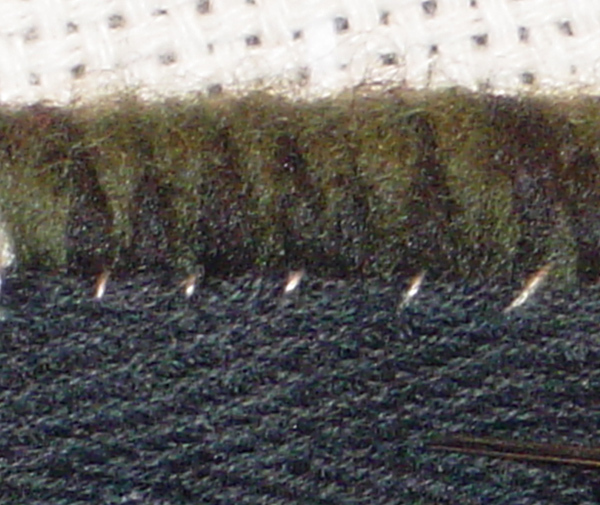 The following methods will provide more protection to the edge loops than just the simple hem or twill tape edge. ♥ Yarn whipped edge with cording... 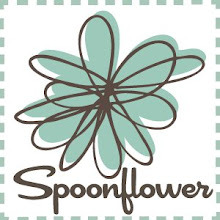 This is my favorite finishing method for floor rugs and chair pads. 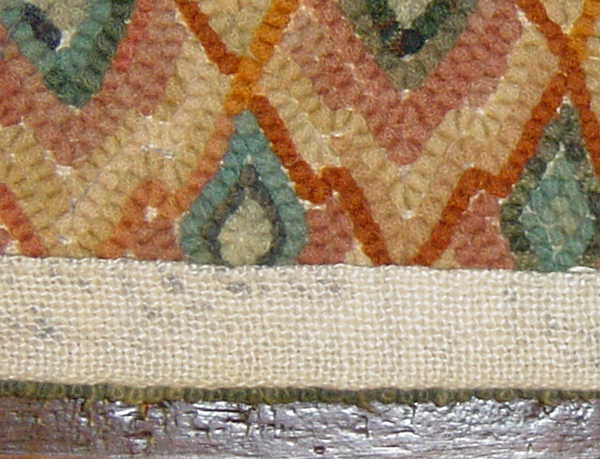 The cording sits next to the last row of loops, providing protection to the cut edges. Place cording behind backing and fold edge over. Baste in place. 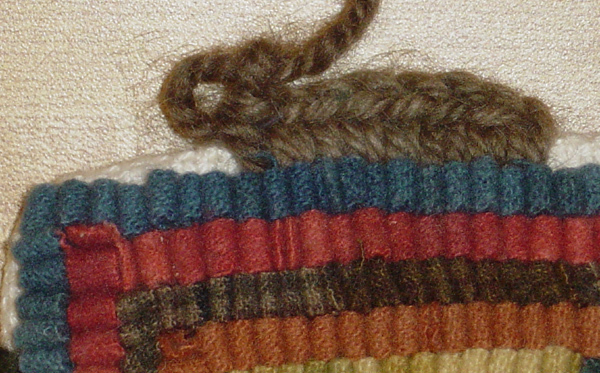 The basting stitches should lay in the ditch created between the cording and the hooked loops. The cording should be NEXT TO the last row of loops NOT under it. 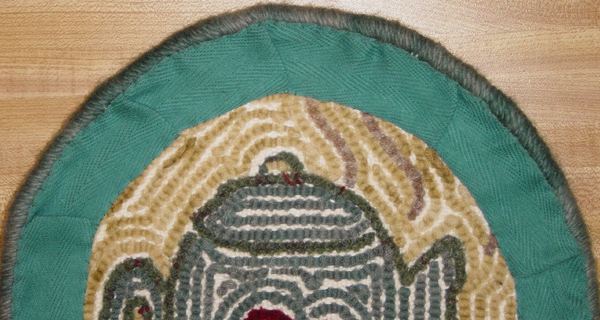 Thread large eye tapestry needle with yarn. To secure yarn end, run needle under backing then begin whipping. 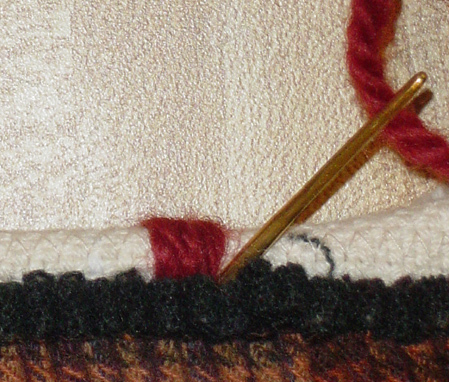 Whip around corded edge by placing the needle in close to last hooked row. 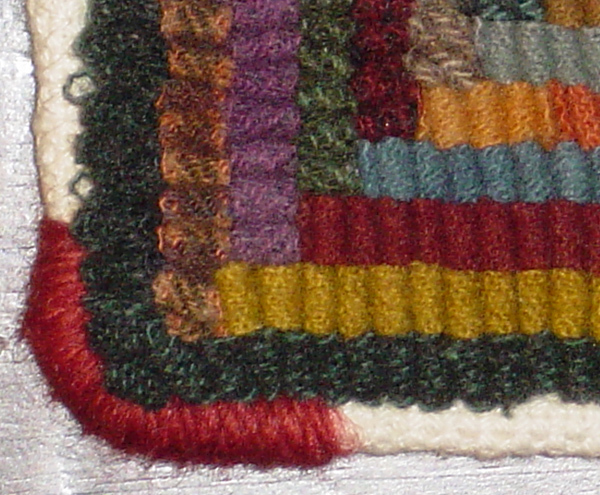 Stitches should be close together so no backing shows through. To join a new length of yarn, stop when you can't do another wrap, thread this tail FORWARD under the backing for an inch or so. Remove needle and thread a new piece of yarn. 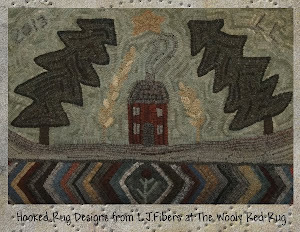 Run the needle under a few inches of completed stitches and continue whipping around the rug. 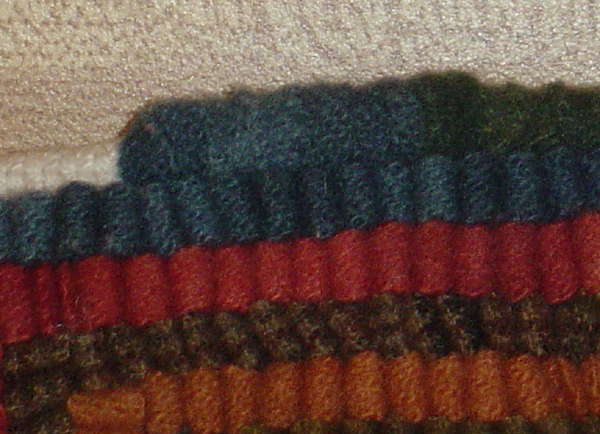 Trim off tails close to stitches. Stitch on Twill Tape... Now stitch the twill tape in around outer edge slightly covering the yarn binding, with matching thread. 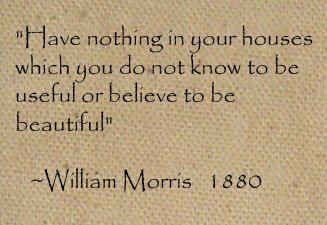 Ease around corners. 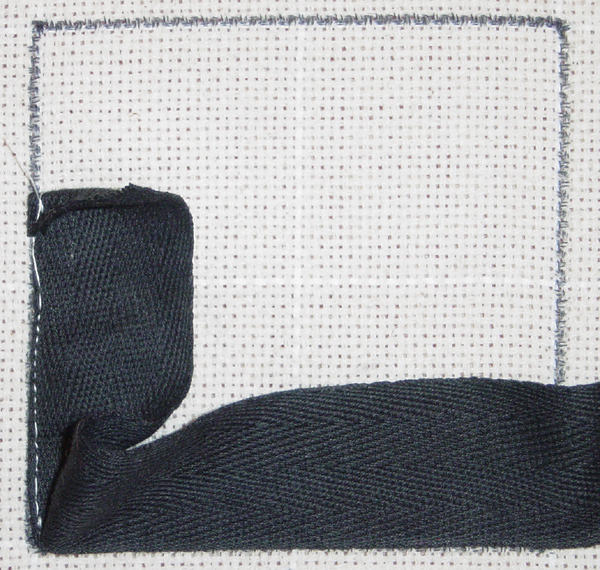 Step two: Fold DOWN Stitch the inner edge in place covering the foundation edge, mitering corners. This method provides a neat finish on the back side so twill tape is not necessary. However the edge is flatter than the corded edge. 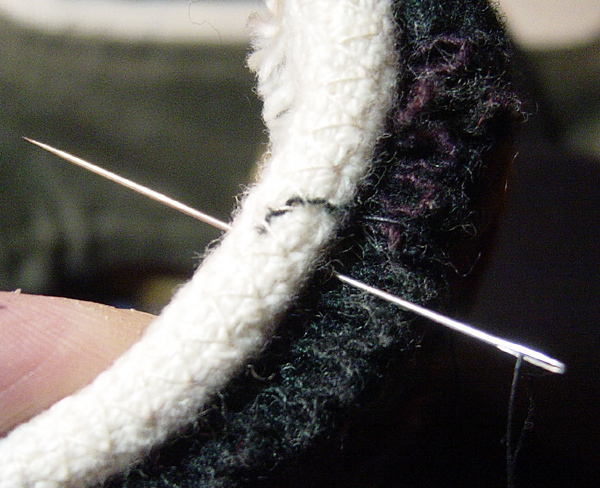 You could add cording, by rolling it up in the hem, but this is very tricky to do. Especially at the corners. Fold the cut edge of backing to the front, fold again to enclose this edge. Clip corners to reduce bulk, fold inward and baste in place. 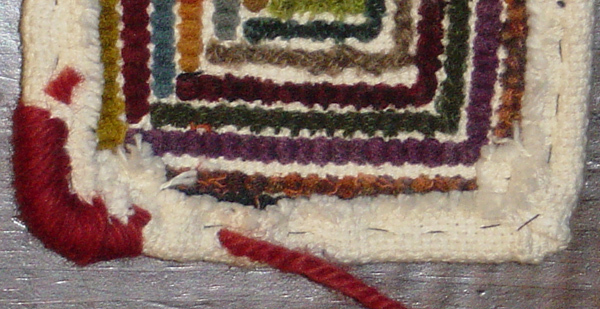 Thread large eye tapestry needle with yarn. To secure yarn end, run needle under backing then begin whipping. Crocheted edge...single crochet around mat covering corded or hemmed edge. 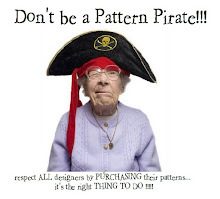 This can be done with yarn or with wool strips. When joining hide, bury tails under crochet. 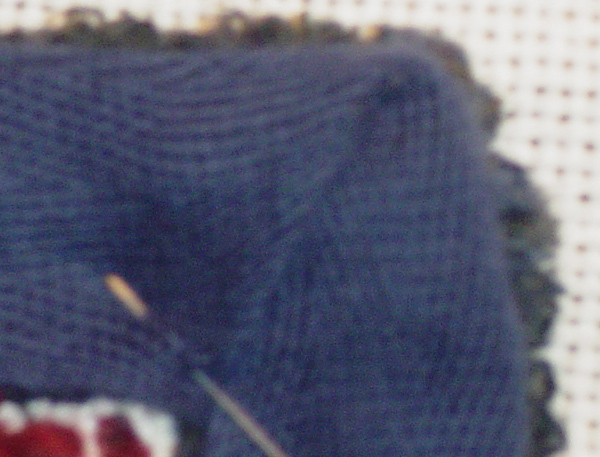 Hand or machine stitch wool around cord to make piping.